The hook-and-loop saddle attachment keeps the bag firmly connected to your bike. 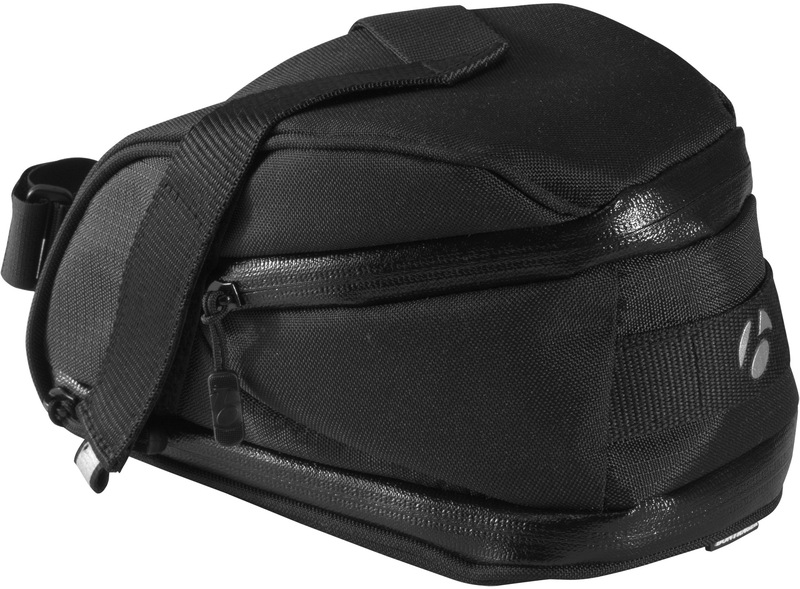 The low-profile seatpost attachment prevents the bag from swinging while riding. Internal pockets securely hold credit cards and valuables. An extra nylon loop on the face of bag easily attaches rear light clips. Reflective elements enhance visibility for maximum safety in any conditions. Strong and lightweight materials hold up to trail and road grime without contaminating the contents. 120 cu in (2L) capacity.